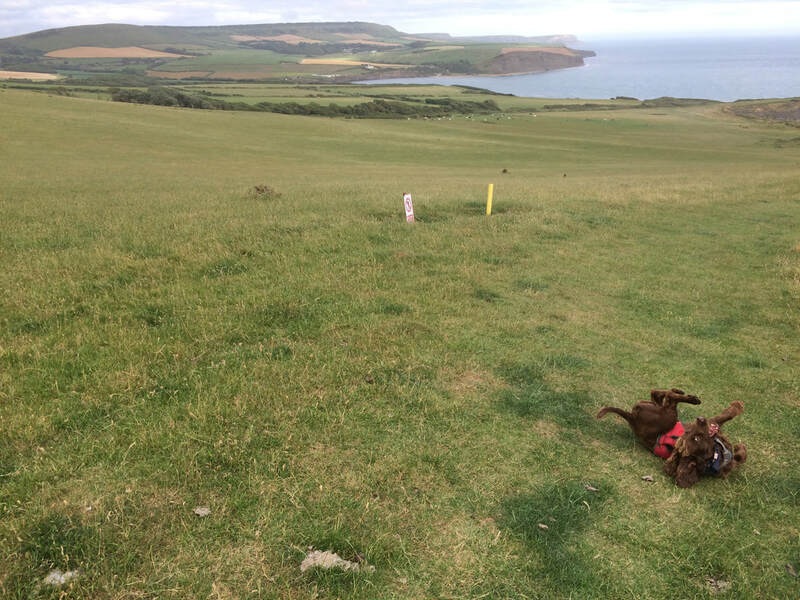 Due to our epic day yesterday we had a bit of a lie in followed by a leisurely breakfast at Angie's Mums. 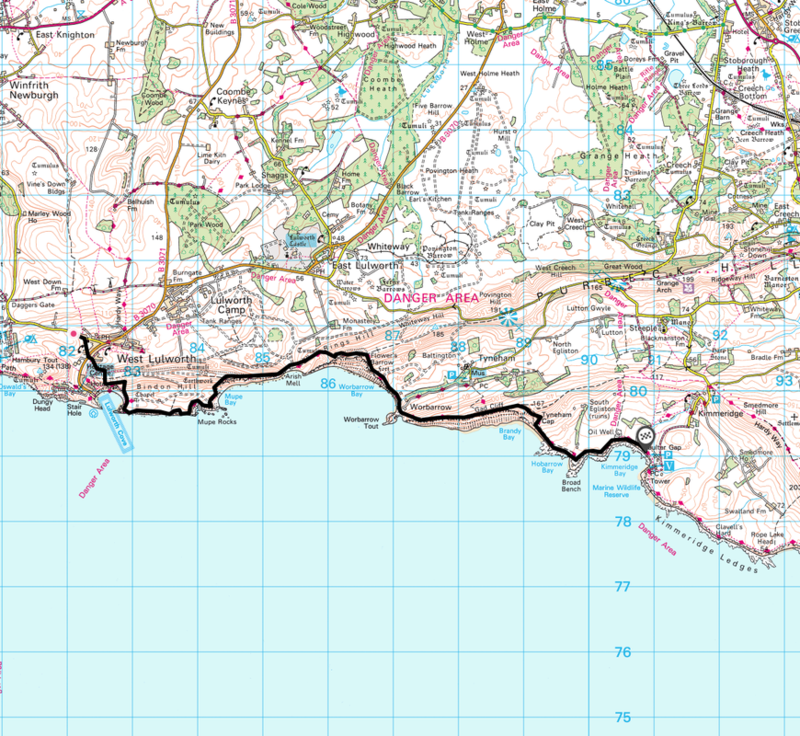 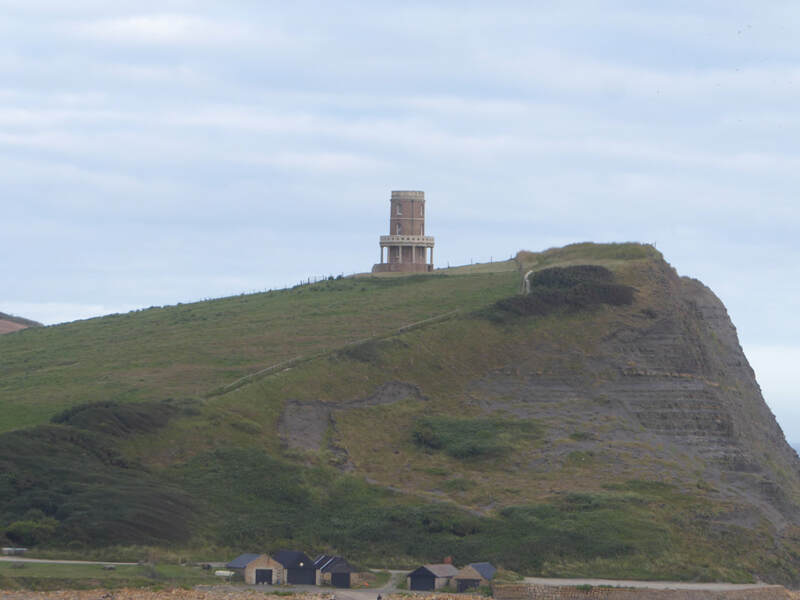 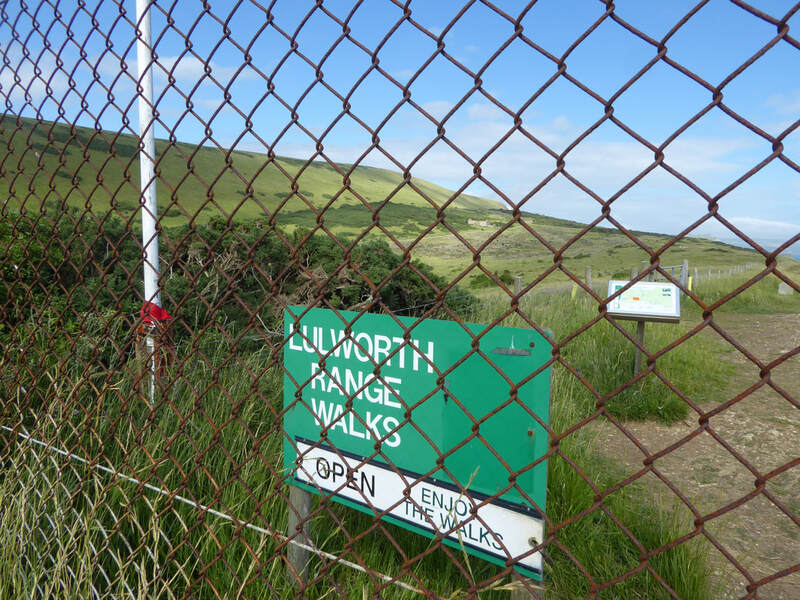 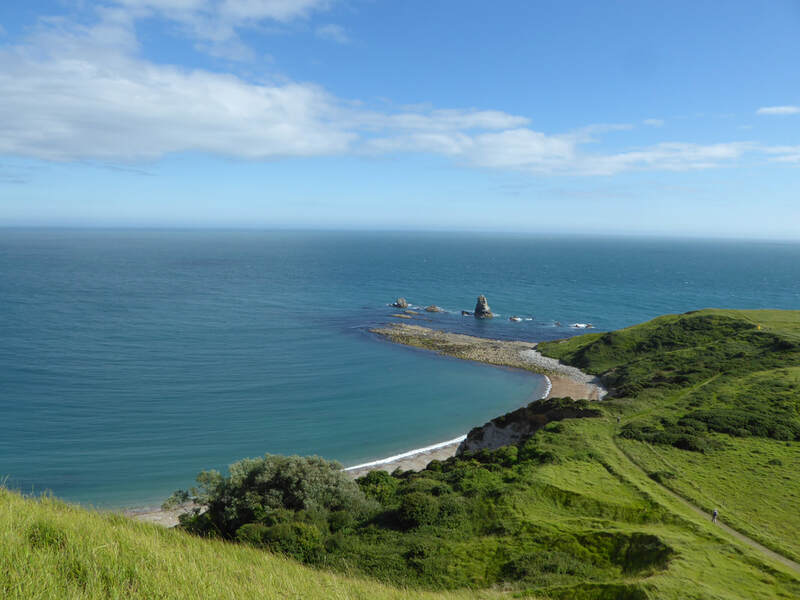 Due to the Lulworth Firing Range being closed next weekend we had to play around with our route today and instead of walking to Abbotsbury we would complete the section through the range from West Lulworth to Kimmeridge Bay. 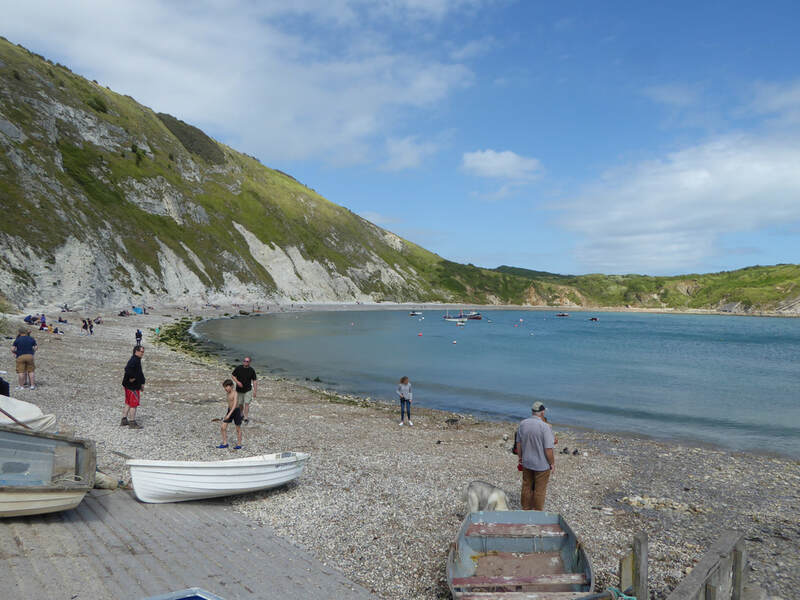 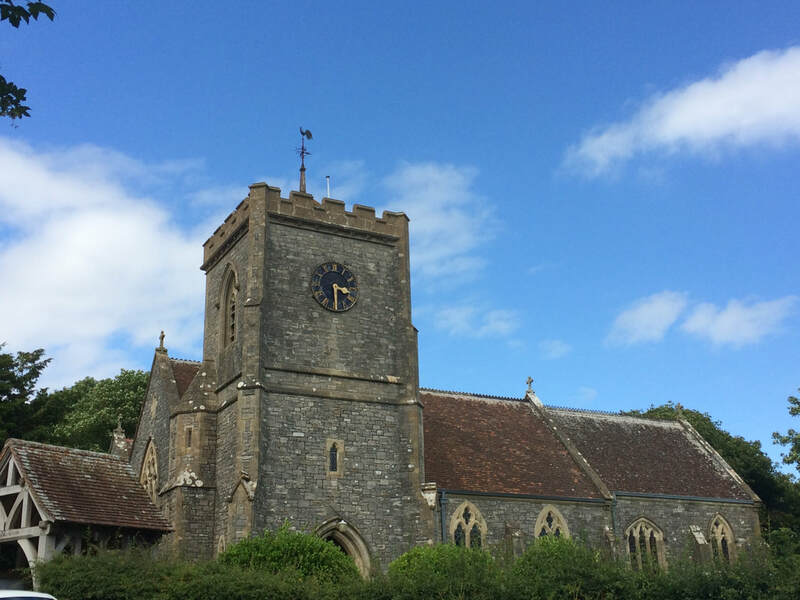 A short day therefore we did not arrive in West Lulworth until late afternoon however the area was still busy as we parked on the edge of the village near the church. 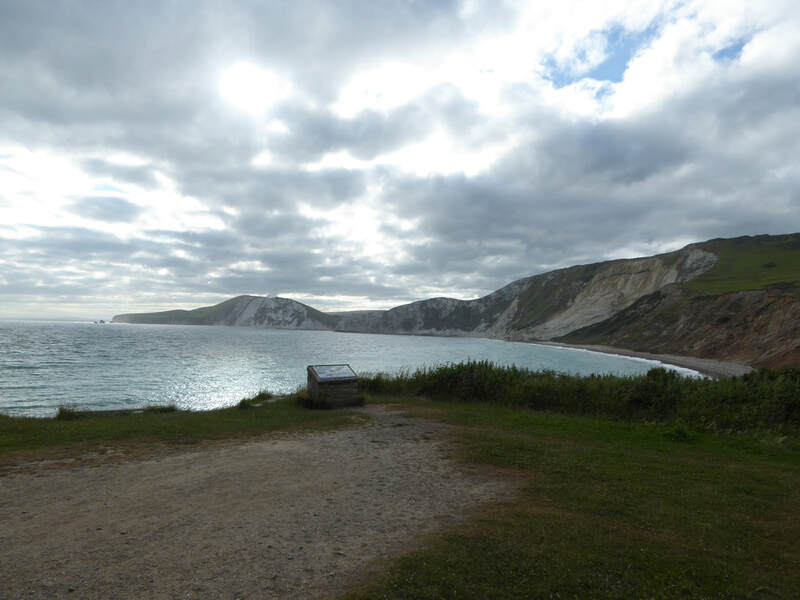 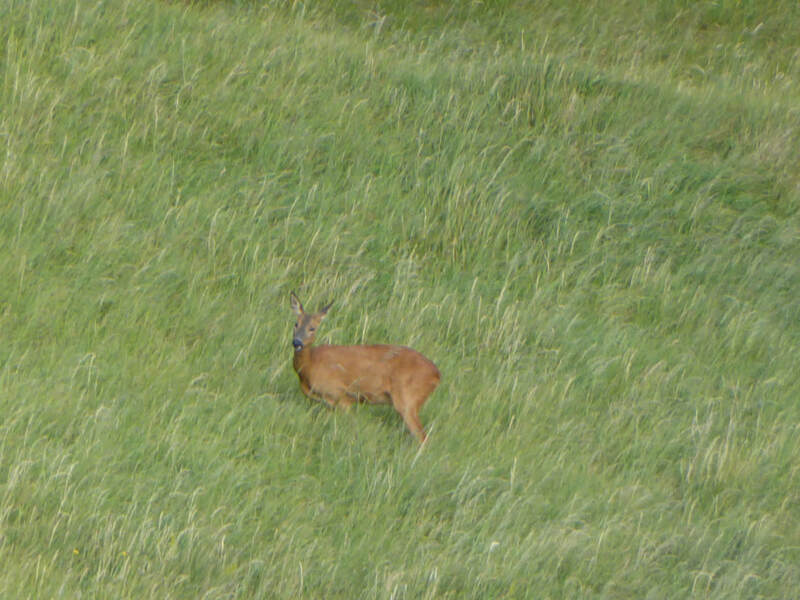 With time to spare we wandered down to the Cove before starting the walk proper to the west of Bindon Hill. 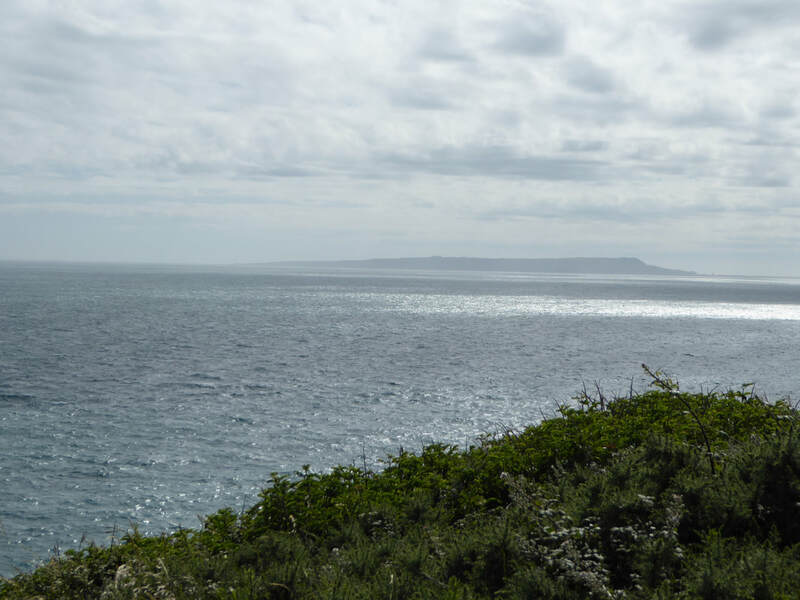 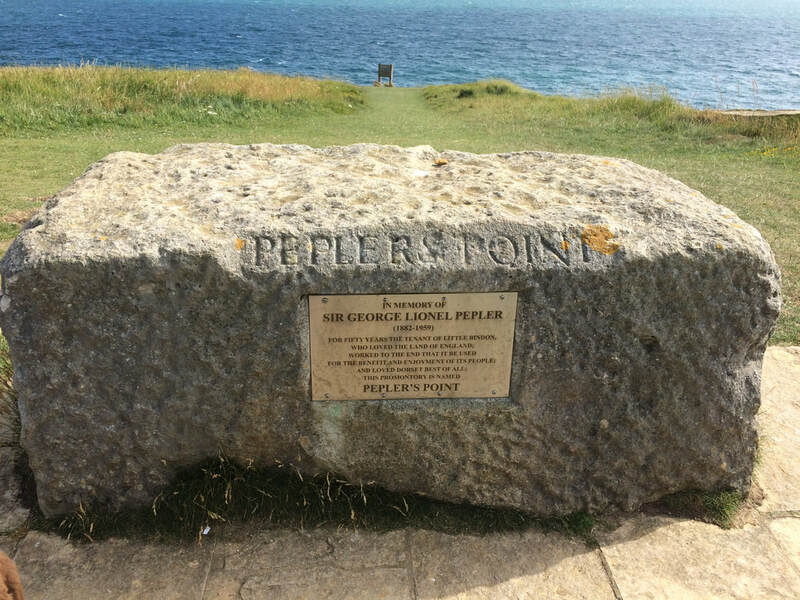 The path rises steeply out of the village and we were soon above the Cove at Peplers Point which grants a superb view over the inlet and across to Portland. 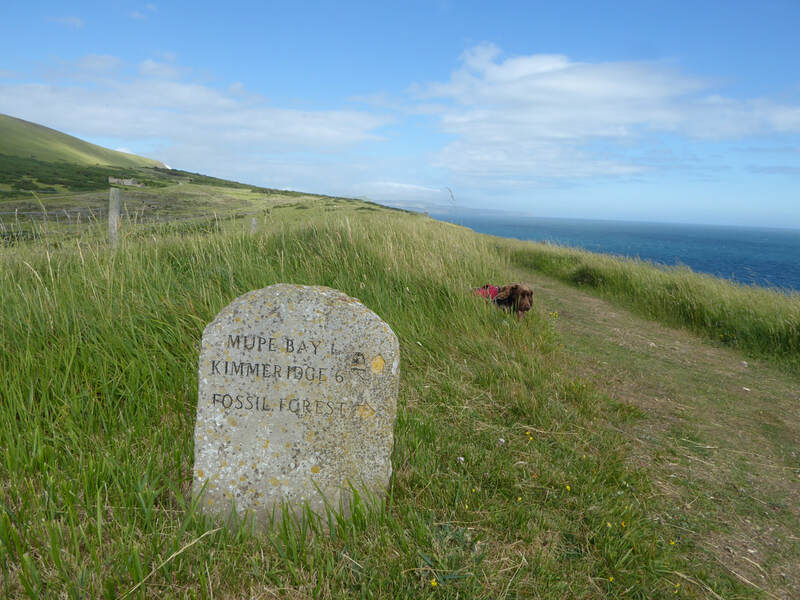 From Peplers Point all the way to Kimmeridge the walking and scenery was absolutely stunning, particularly Mupe Bay and the view to Bindon Hill. 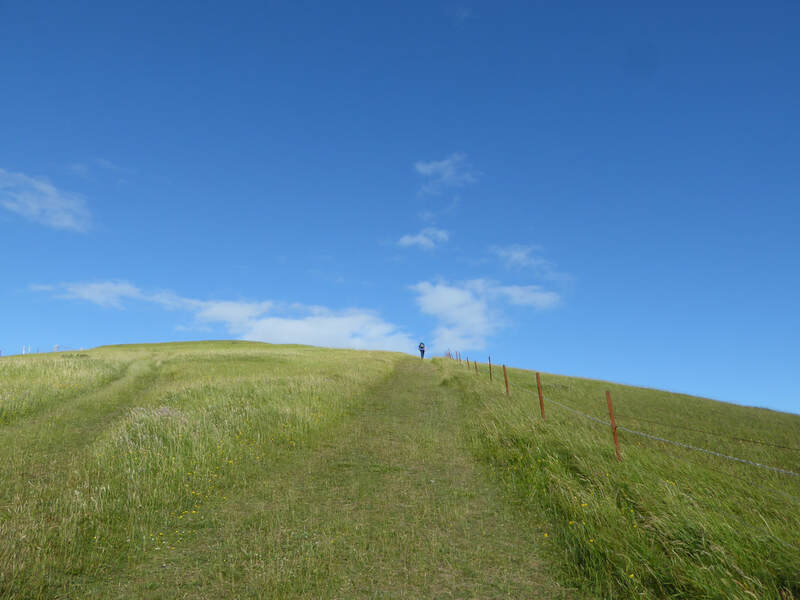 The ascent of Bindon Hill would have been a real lung buster but with a light pack we made easy work of it. 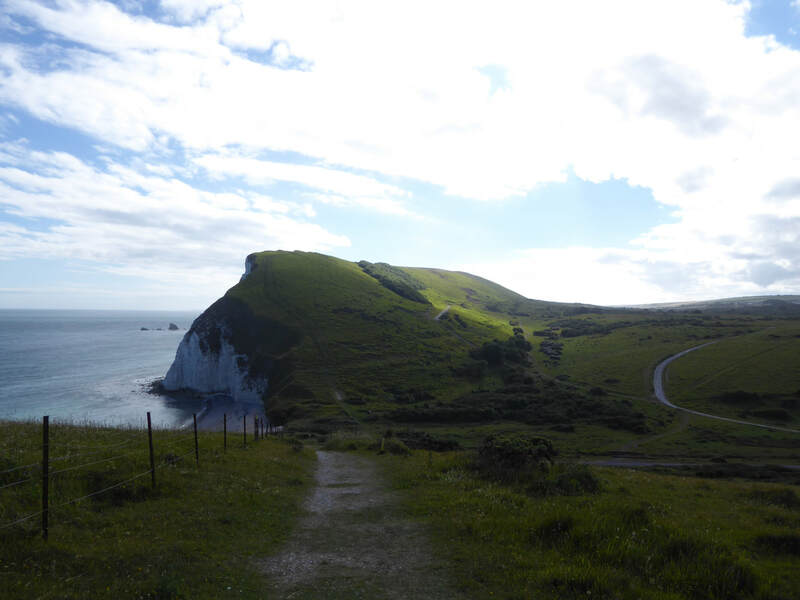 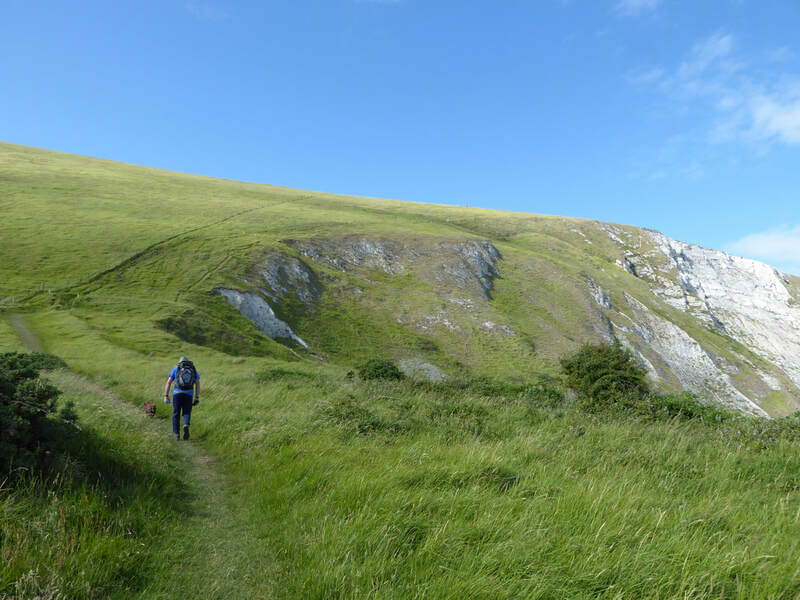 What made this walk even more special was that we did not see a soul and had it all to ourselves - everyone else was pushing & shoving in Lulworth. 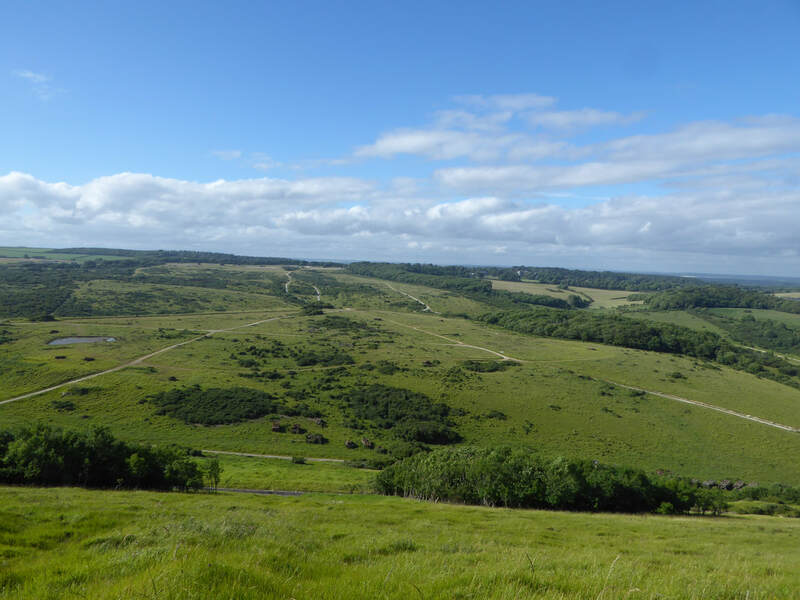 It pays to do your planning when sorting out an itinerary - to miss this section because of the range being closed would be a real shame - it has so much to offer in its short 8 miles and the tanks sitting below the path give a reminder as to what this part of the paths prime purpose is. 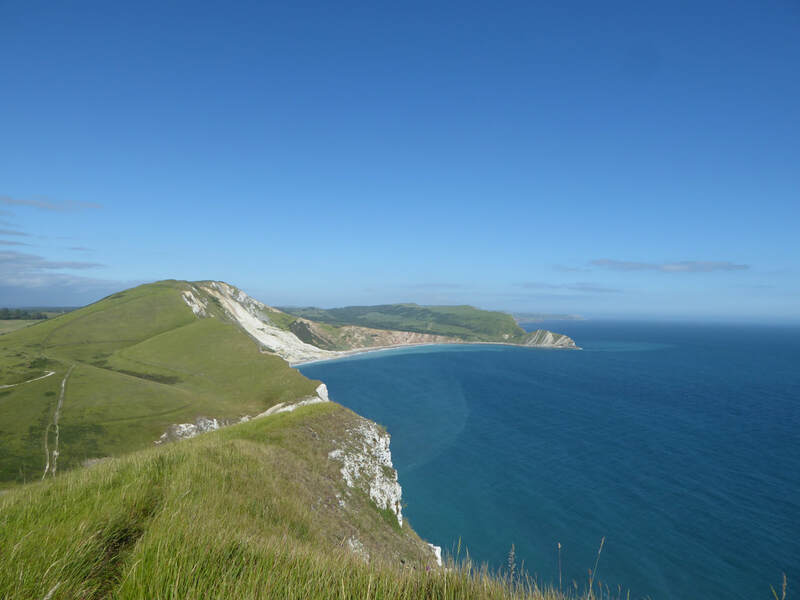 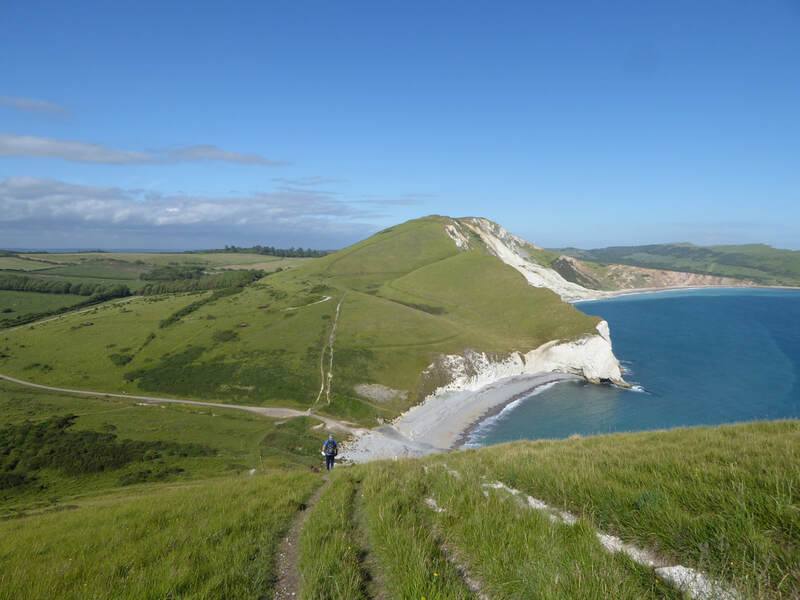 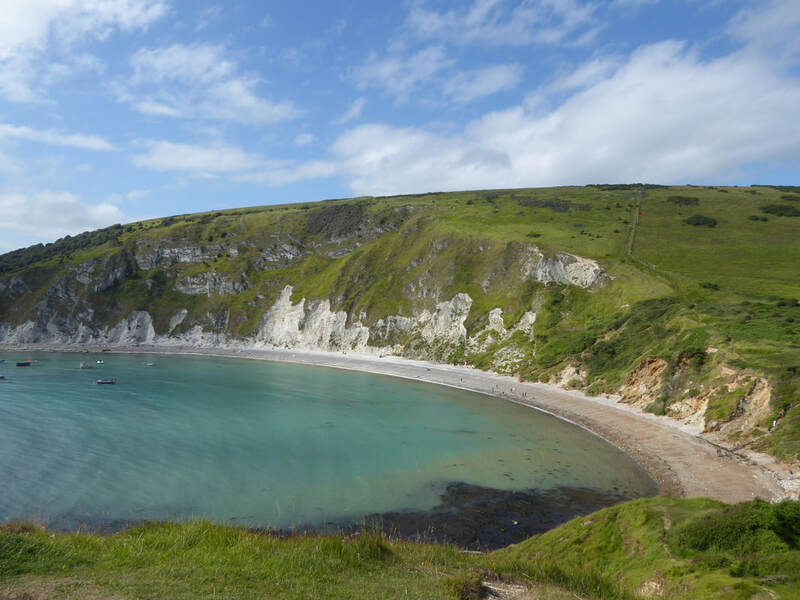 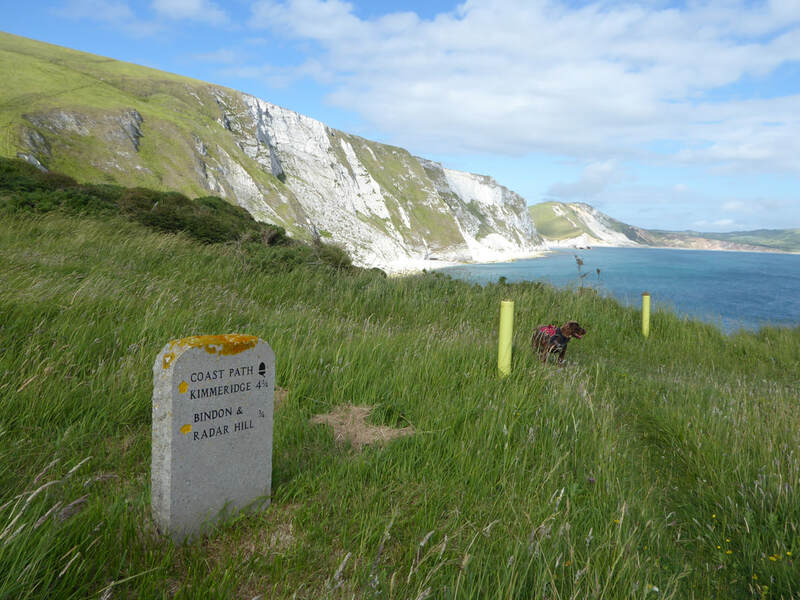 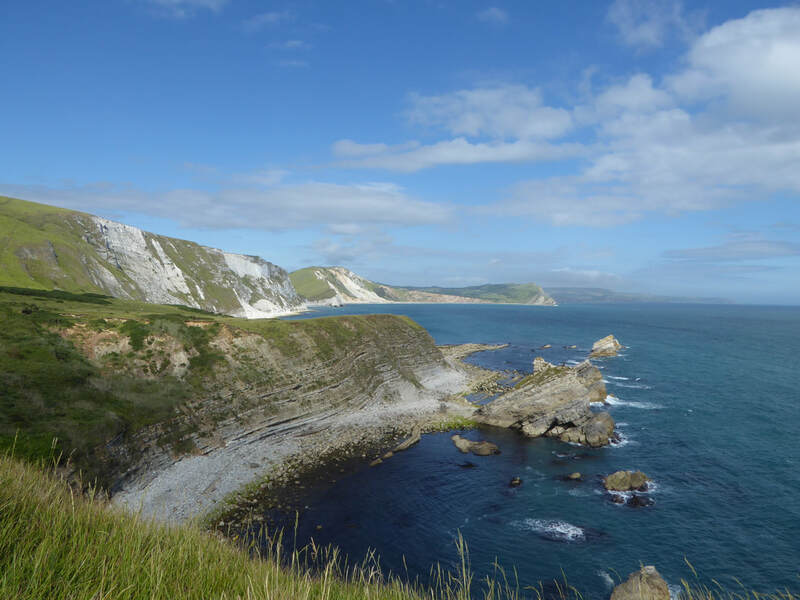 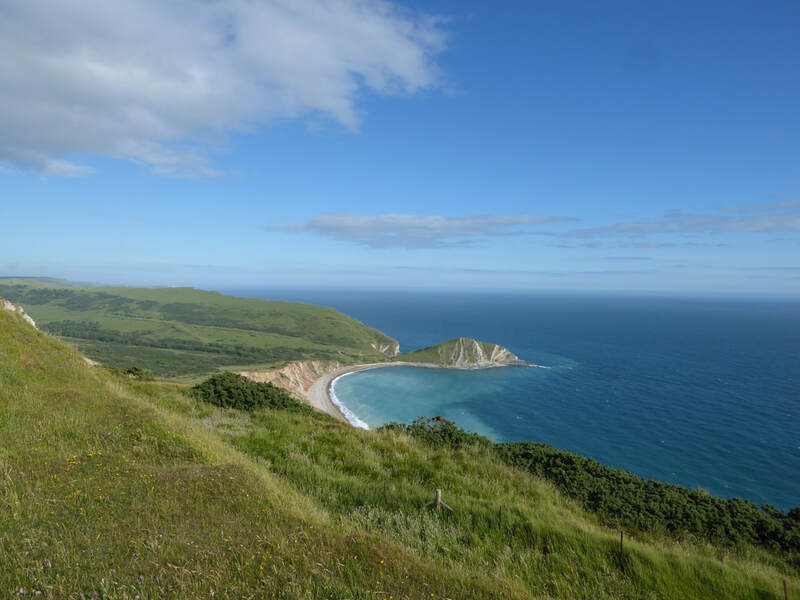 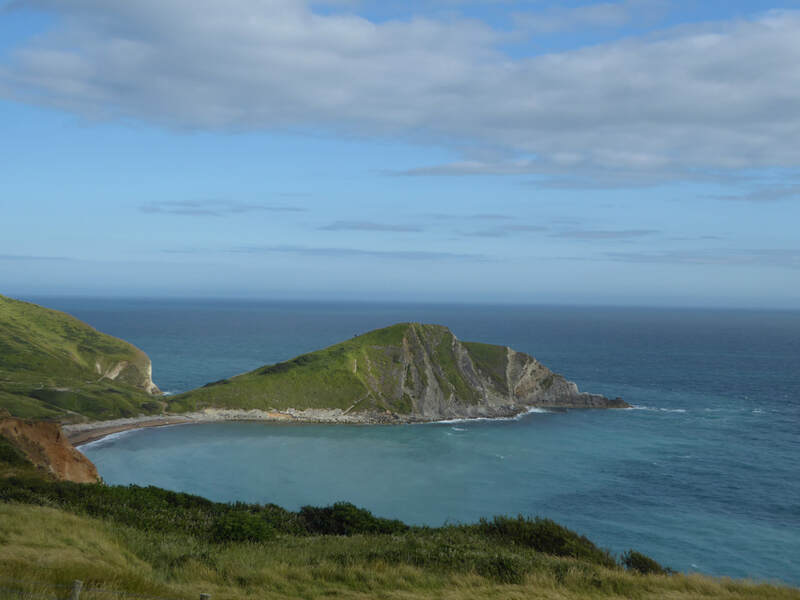 From Arish Mell around Worbarrow Bay is another superb section - big ups and downs including the climb to the Iron Age Hill Fort on Flowers Barrow. 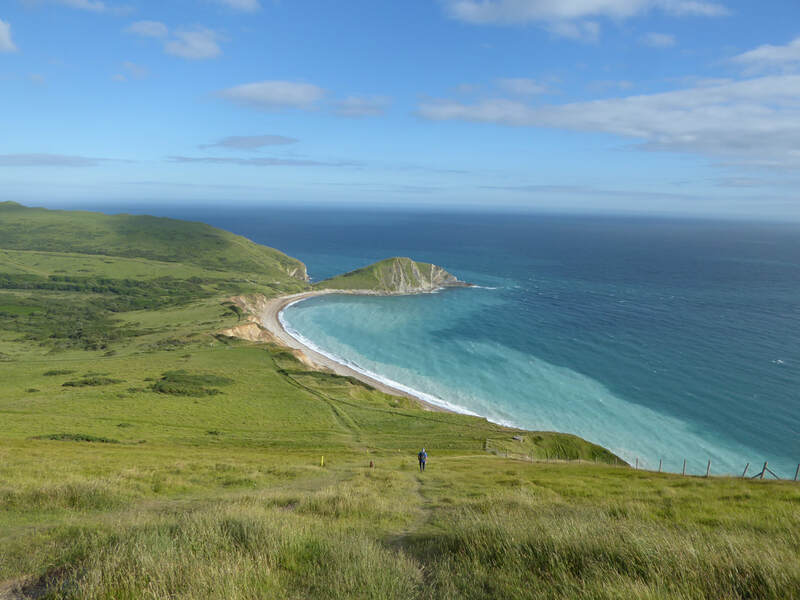 Another lovely end to the walk as we ambled over to Kimmeridge Bay along pleasant field paths to catch our pre arranged taxi to take us back to West Lulworth. 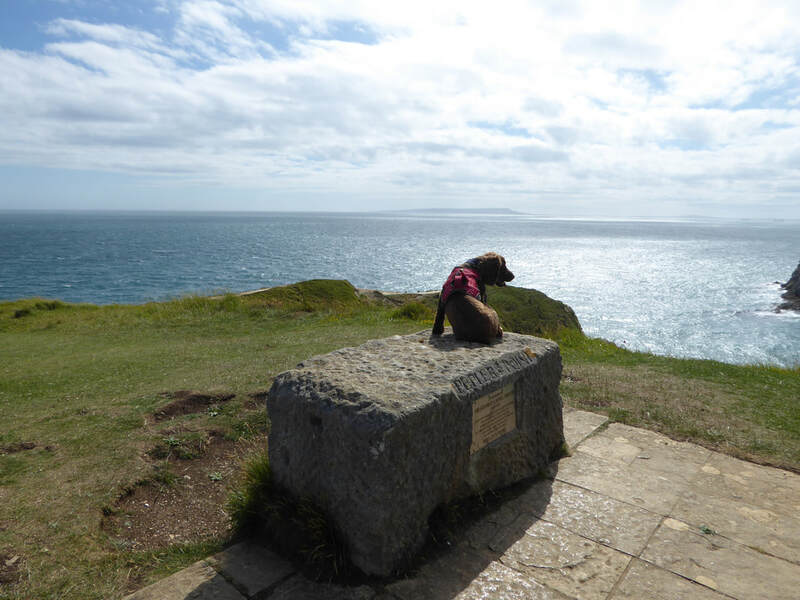 What a walk!